Price Drop! Live on Lemon Bay at half the cost! Be part of this gated bay-front community that's a short walk to Stump Pass Marina next door and it's popular waterfront restaurant. This 2006 home is rated to withstand hurricane winds up to 110 mph and includes a secondary steel support system with tie-downs. The walls are 2x6 construction and fully insulated. Plenty of storage space underneath in the 3-foot high crawl space. 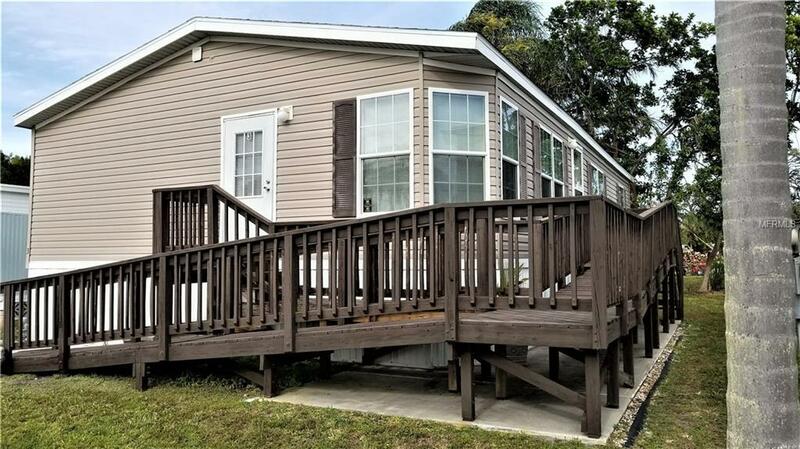 The community includes boat/trailer storage space and a boat launch for an additional fee or rent a dock monthly with 5-minute access to the Gulf of Mexico. Enjoy the pool, spa, and clubhouse in this beautiful, 54-unit paradise. The home is fully furnished and ready to comfort you as you retire or vacation. Don't miss this unique opportunity! Sunsets are waiting! Sorry - no pets. Amenities Additional Fees Additional $145/Month Fee For Boat/Trailer Storage.